In the Phrase field, type in the entire phrase you'd like to create a shortcut for. In the Shortcut field, type in the snippet you want to be replaced by the phrase. This is one of my favorite feature with the iOS keyboard. 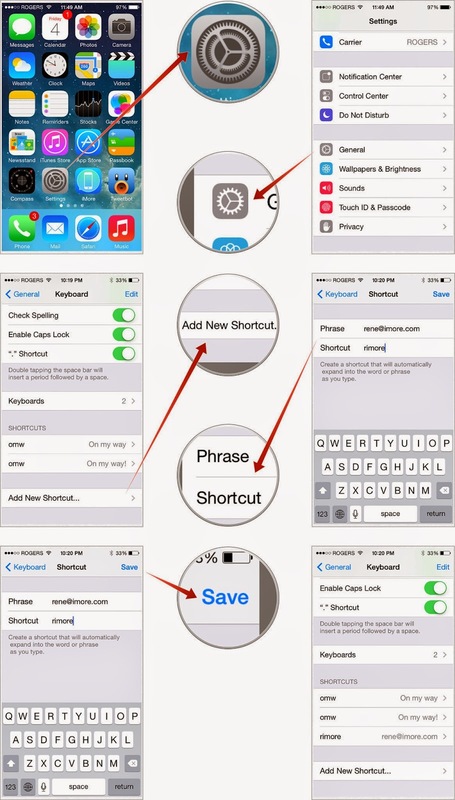 And the best thing is that these shortcuts syncs with all your devices automatically via iCloud, even with Macs! So that means that I create the really advanced shortcuts on my Mac and they immediately shows up on my iOS Devices ready to use! This makes it really easy and fast to blog with HTML code snippets for example. You can do any kind of text snippets, only your imagination sets the limit. And they work everywhere. I like it a lot. I have hundreds of shortcuts that I use on a daily basis because I use my devices to create content with.